Slice avocado in half and remove seed and skin, keeping flesh intact. Set aside. Combine all remaining ingredients in a bowl and mix well. 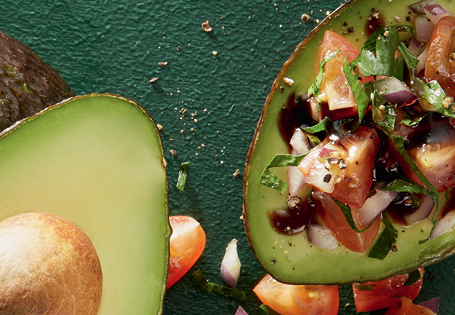 Spoon the bruschetta filling into each avocado half and drizzle with balsamic glaze. Enjoy!